Karen Orsolics was very responsive and professional. She helped us find a house that definitely meets our needs. She has a great knowledge of the Humboldt area and regularly updated us with new options in the area we wanted and worked to find us the perfect house. Since we could not be there to view properties, she personally checked out the properties with our daughter and would inform us of all the pros and cons regarding each property. It was a wonderful experience working with Karen and we look forward to working with her again in the future. Karen helped me shop for and acquire a new home through a short sale and sell my previous home (which is now pending). She was easy to work with. I am well satisfied and certainly do recommend her for either buying or selling a property. Karen has helped me with many transactions and always remains calm and calculated. She has vast experience in all realms of the real estate industry and knows how successfully facilitate every step of the way. She offers compassion and sound market advice and expertise, She genuinly want what's best for her clients. I'll refer her any day. Karen is an awesome agent. She showed me great respect and listened to my questing's. She even helped console me when I needed it. When we came across this home Karen and I hugged and jumped up and down for joy. It was GREAT. When I am ready to sell the previous home I will most definitely ask Karen Orsolics to help sell it. Karen is the type of agent all agents should strive to be. These last few months Karen has shown us properties, wrote offers, and worked hard to make our purchase seem easy. Not only did we find a property far above our expectations, but an agent to match. I highly recommend her. Karen worked with my wife and I to find a home in the Arcata area. She was extremely professional but also very friendly and gave us a feeling of confidence. She knew the answers immediately to any real estate/contract questions, knew the area intimately (everywhere we went there were other houses she had dealt with), and followed up on any questions we had. Karen is a very clear communicator and willingly explains (and reexplains) details. She was supportive of our careful reading of contracts and handled long lists of questions until we were satisfied. We also had a pretty good agent in the Bay Area selling our previous home but Karen was hands down the best agent I've encountered. If you need real estate help on the North Coast, I highly recommend her. I have bought 4 houses through Karen since 2000. She works very hard to represent her clients fairly and has a very thorough knowledge of the requirements of her licensing. My last purchase was difficult due to the buyers of my property and their lacking representation. Karen ran the process from her end and made it work, even when it looked like it was going to fall through a few times, through no fault of ours.... She is competent, knowledgeable, responsive and does a great job finding houses that fit her clients' needs. I would highly recommend her to anyone looking for income or primary housing.e. We bought a home in McKinleyville in 2010 with Karen's help. Our daughter was transferring to HSU and we were looking for an investment property. With Karen's patient and professional assistance, we found the perfect home. It was cllose to the university, but also in a family-friendly neighborhood that we could all enjoy. Try Karen before you make your final decision. She's astute and intuitive and doesn't pressure you. The perfect choice for Humboldt County! Karen Orsolics has been my realtor on four real estate purchases. She has always been on top of all the details and has kept the transactions from getting bogged down. I would highly recommend her. I had a great experience and would highly recommend this agency. My broker was efficient, organized, knowledgeable and I would reuse her again if I had the chance. Awesome team to work with! Karen Orsolics exceeded all of my expectations. She is first class all the way. Makes the whole process seamless and easy. Most helpful, efficient and professional service!! My husband and I can't say enough thank-you to Karen Orsolics for helping us finding our dream home! She listened carefully to what our needs were and had a great sense of what would be a good fit. It took less than two months from the moment we first time saw the house to the closing of the deal. Karen was there every step along the way from showing us around, getting our offers in, setting up the house inspection, fixing up things and even go as far as finding us a property manager and an ideal tenant while we get our lives together to relocate. We would surely use Karen's service again if we ever need to buy or sell a house and we highly recommend Karen's service to anyone who wants to buy/sell a house in Eureka/Humbodlt area. It's truly a blessing to have found and worked with Karen! Team work and communication. I am a real estate investor and have worked with many different realtors. I am also demanding and difficult to satisfy. However, I have been able to work well with Karen Orsolics as a team to buy and sell several properties during the past couple of years. We communicate well and she is prompt in our communication process. She keeps in contact and apprises me of the events and activities so that I can make intelligent and appropriate decisions. I recommend her highly. High quality service and extremely concientious and hard working. 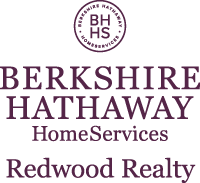 We have been very pleased with the service we have received from Karen Orsolics and Berkshire Hathaway Realty. Karen never gives up when she is working for you. She is an individual that explores all possibilities and avenues to make sure your property sells and is excellent at finding properties that you want to buy. As the computer age becomes more complex and more is done with the use of computers it is an area that Karen is trying to embrace more but sometimes could be a little more capable with using it. She continues to learn more information about the use of computers in real estate. It definitely is not a deal breaker for us. When you use Karen you know she is working for you!! We consider ourselves very fortunate to have found Karen on zillow. After contacting her we met at a local coffee shop to get to know each other. She had already set up some house viewings for us that fit our description. However, over the 3 days with Karen's help and advice, we began to refine our search. She was adaptive to our changes and helped tremendously with our search. She is smart, funny and without an agenda. You will not be disappointed. Excellent, professional service. My husband and I recently purchased a home in Arcata. We were relocating, and we weren't sure exactly what we needed. We went through many twists and turns on the road to figuring it out, and our realtor, Karen Orsolics, provided us with great service every step of the way. She was courteous, friendly, professional, thorough, and always on top of things. We never had to ask for anything more than once; she was always responsive and helpful. She never pressured us about any property. Her concern was that we feel happy with our purchase -- and we do! If you're looking for a true professional, work with Karen Orsolics at BHHS Realty. We recommend her very highly! The Best ever! Karen is everything we could want in a realtor: calm, interested, very professional, and ready and willing to find and provide the information needed to find the right place. Karen is a very good listener, and pretty quickly homed in on what we wanted and what we didn't want. She didn't waste our time (or her own) trying to show us places that she knew wouldn't work. And she makes the great effort to find the answers to questions, to find the resources, and to make good recommendations about who to talk to. Can't find enough good words to say!. Thanks Karen Orsolics! We found a home in Arcata Ca but live in Santa Cruz, Ca. Karen was invaluable with helping us negotiate from a distance, keeping in touch with us and our loan officers here, and doing the legwork that we would normally do if we lived there. She was informed, communicative, and personable. I recommend her to anyone who wants a really professional and knowledgable agent. Thanks Karen- we are so excited about our new home! We found a house in Arcata but live in Santa Cruz (until now...we bought it!) Karen helped us from the get- go through the entire process, kept in touch with our loan officers, and did all the legwork that we would normally do if we actually lived there. She was terrific , informed, communicative, and fun. We couldn't be luckier to have found her to negotiate for us from such a distance. Thanks Karen! Masterful Negotiator! Karen Orsolics negotiated a favorable sales price and financing terms for us. Even though we were buying in a strong sellers' market, our offer of $415,000 on a $435,000 listing in a highly desirable area was accepted. Our accepted offer included a buyers' credit of $5000 from the seller, which covered most of our closing costs. We were thrilled with the deal! When we experienced delays with the lender we were working with due to personnel issues, Karen twice negotiated extensions of our escrow and also worked closely with our loan officer to help push the financing through and finally close the deal. We were very grateful that Karen was acting as our agent, and we give her our highest recommendation. Thank you so much for handling our home sale in such a professional and timely manner. We appreciate your efforts. It was a pleasure dealing with you and your organization. May all your showings go smoothly, your clients agreeable and your future listings many. Awesome Experience! Karen was fantastic and made this process stress free. Wonderful friendly service. It was a delight working with Karen and Jessie. They were very professional, and very helpful in the sale of our house. Professional and effective service. Karen Orsolics's warm and straightforward work style was very attractive to us when we first met her. Her well prepared service documents are clear and easy to understand. During the process of selling our house, she was patient assisting us to make proper decisions on price adjustments and negotiations with buyer's agent. We truly appreciate her professional and effective service throughout our house sale.